There are still tickets available for today’s Soup Takedown at 2pm. 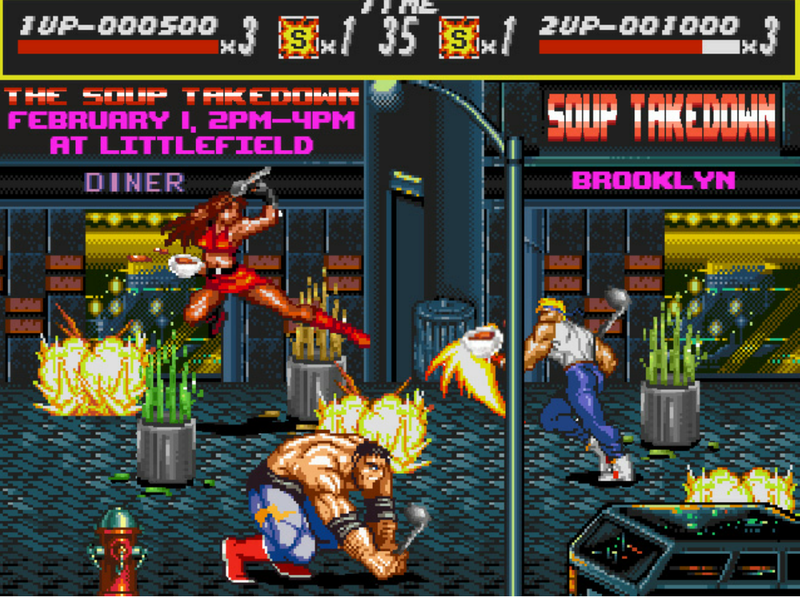 the Brooklyn Soup Takedown!!! Feb 1 2-4PM at Littlefield!!! New York has very strong opinions about soup. And you’re in charge of awarding the prettiest opinion- what home cook has made the ultimate belly charmer??? Go find out! Tags: food tasting, foodie, The Takedowns. Bookmark the permalink.